How do you measure the effectiveness of an organisation? The long-term resilience and sustainability of a business is not to be found on its balance sheet, but rather in the quality of the relationships and communications between people. This is the product of leadership - and where real business value can be built. People development strategy should focus on leadership as an ongoing process of creating the best culture for organising people. Not as something that needs fixing with a one-off intervention, e.g. when things start going wrong, or when personnel metrics start to go south. Developing people is the day-job of leaders and perhaps their primary responsibility. As seniority and responsibility for operations grows, so must leaders increasingly realise that ‘people are the product’. The question should not be “What is great leadership?” but rather “What type of leadership is required to achieve a great outcome for X?”. A key principle of an effective leadership development strategy is respecting diversity – recognising that all employees are unique, and that their leadership style is as idiosyncratic to themselves as their own personality (no surprise –this is what drives leadership behaviours in large part). Authentic leaders have credibility and build trust because they are true to themselves. A one-size-fits-all approach may work adequately at introductory levels, e.g. for supervisory tool-kit training. But not beyond this level, as a leader matures and begins to take on more responsibility for organising others. Organisations that adopt a more inclusive approach to development, recognising the value of different personalities will ultimately build more effective people-systems. There are myriad categories and styles of leadership required to ensure the adaptation of an organisation to its environment, and its agility to change. As a bare minimum, development streams and strategies should exploit the differences in strengths between e.g. general-people leaders, technical-thought leaders and project-delivery leaders. Respecting what makes us different and nurturing individual, authentic leaders needs to happen within the ecosphere of a wider leadership culture, aligned towards realising the business customers’ needs. What are the behaviours that deliver value and help the business achieve its ambitions? Understanding and defining this ‘behavioural DNA’ of an organisation is vital to ensure all development interventions are aligned to realising the ambitions of the business. Join our mailing list for engaging, useful information about the world of Talent and Occupational Psychology. Enter your e-mail and subscribe to our newsletter. 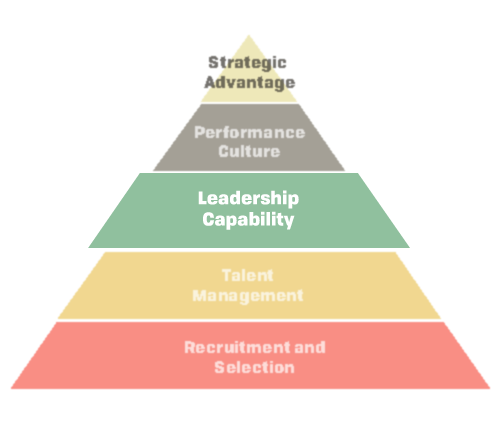 Peoplenetics Ltd. is a talent management consultancy that shares a fresh and unique approach to leadership and organisational development. We are experienced Chartered Occupational Psychologists. Peoplenetics Ltd. is a company registered in England and Wales. Registered number: 10283358. Registered office: Poppy Cottage, West Street, Sparsholt, OX12 9PS.